PLEASE READ THIS BETA TEST AGREEMENT (THE “AGREEMENT”) CAREFULLY. BY CLICKING THE “ACCEPT” BUTTON BELOW OR BY PARTICIPATING IN THE CLOSED PRE-RELEASE BETA TEST (THE “BETA TEST”) FOR BLUE MARS™ (“BLUE MARS”), YOU (“YOU”) AGREE THAT THIS AGREEMENT IS ENFORCEABLE LIKE ANY WRITTEN CONTRACT SIGNED BY YOU. IF YOU DO NOT AGREE TO ALL OF THE TERMS OF THE AGREEMENT, CLICK ON THE BUTTON THAT INDICATES THAT YOU DO NOT AGREE TO ACCEPT THE TERMS OF THIS AGREEMENT, AND DO NOT COMPLETE INSTALLATION OF THE SOFTWARE. I. Beta Test Restrictions. Avatar Reality™ (“Avatar Reality”) has designed and developed and is the publisher of Blue Mars. Avatar Reality is conducting the Beta Test to allow a limited number of people to give feedback and comments to Avatar Reality regarding Blue Mars as well as to test the features, capabilities and performance of software (“Beta Software”) and other informational materials (“Beta Materials”) as may be provided by Avatar Reality as part of this Beta Test. A. Eighteen (18) years of age or older. B. 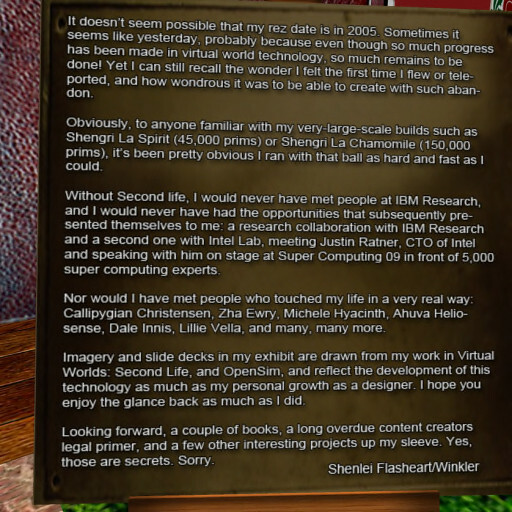 Not a principal, employee, agent, independent contractor, consultant, officer or director of a developer or publisher of video or computer games or virtual worlds, other than Avatar Reality. II. Compensation. you represent and warrant that you are entering into this Agreement on a completely voluntary basis with no expectation of any form of compensation whatsoever other than what is expressly provided for in this Agreement. you agree that the role you will play in helping Avatar Reality develop better software does not constitute a critical or vital role in the development of Blue Mars or the Beta Software such as to entitle you to claims of ownership or rights to receive any other compensation or acknowledgement of any kind for your participation. you agree that Avatar Reality may terminate your participation in the Beta Test at any time without any compensation. you agree that your participation in the Beta Test does not constitute an employment agreement or offer of such an agreement between you and Avatar Reality and that your participation in the program is strictly voluntary and done solely for your personal enjoyment and that Avatar Reality expects you only to use your leisure time to participate in this program, and does not expect you to forego other activities, including gainful employment, during the time you spend participating in this program. you may stop being a volunteer tester of Blue Mars at any time that you wish. III. Termination of Beta Test. Avatar Reality may, in its sole discretion, terminate the Beta Test at any time. IV. Testing and Evaluation Obligations. you hereby agree to test, evaluate and analyze Blue Mars and specific aspects of it as identified by Avatar Reality to you and to provide feedback, analysis, suggestions and comments to Avatar Reality (including, but not limited to, bug reports and test results) as reasonably requested by Avatar Reality, or as otherwise voluntarily provided by you (collectively, “Feedback”). you agree that as part of your participation in the Beta Test, it is your responsibility to report all bugs, exploits, or other defects and problems (collectively “Bugs”) related to Blue Mars and the Beta Software to Avatar Reality as soon as you find them. If you know about a Bug or have heard about a Bug and fail to report the Bug to Avatar Reality, Avatar Reality may terminate your participation in the Beta Test and may disallow your future participation in Blue Mars. VI. Term of the Agreement. Your participation in the Beta Test may be terminated by Avatar Reality at any time, for any reason or for no reason, by providing written or emailed notice to you. you may, at any time, for any reason or for no reason, terminate your participation in the Beta Test by providing written or emailed notice to Avatar Reality. Upon termination of the Beta Test or your participation in it, any and all license rights granted to you under the Terms of Service shall terminate immediately. you agree that you will return to Avatar Reality any and all copies of the Beta Software delivered to you for review at the request of Avatar Reality. The return of the material and termination of your participation in the Beta Test will not affect your confidentiality obligations as set forth in Sections VII through IX. VII. Confidential Information. “Confidential Information” includes any and all information relating to, contained in or relayed through the Beta Software, Blue Mars, and the Beta Test, including but not limited to information relating to the performance, capabilities and features of Blue Mars, the performance, capabilities and features of the Beta Software, the contents and features of the Beta Materials, your Feedback, any other Beta Test participant’s Feedback, and any Avatar Reality employee’s Feedback. By way of clarifying examples and not as a limitation, Confidential Information includes comments regarding the stability of Blue Mars and/or the Beta Software, comments regarding the appearance, features, or functionality of Blue Mars and/or the Beta Software, general comments about Blue Mars’s overall development, contact/private information for Avatar Reality personnel that is provided to you, any information that would allow people who are not part of the Beta Test to access any private areas for use in connection with the Beta Test, including but not limited to, Blue Mars, the Beta Software, chat, email and message boards, postings from the private boards or forum for the Beta Test, screen captures, pictures, videos, podcasts, audio files, or any other representations in any form of media, known or unknown, of any content in Blue Mars, the Beta Software, or the Beta Materials. VIII. CONFIDENTIALITY OBLIGATION. YOU MAY DISCLOSE THAT THE BETA TEST EXISTS AND THAT YOU ARE PARTICIPATING IN IT, HOWEVER, YOU AGREE THAT YOU WILL NOT PUBLISH, DISCLOSE, DISTRIBUTE, TRANSMIT, POST OR OTHERWISE MAKE AVAILABLE, DIRECTLY OR INDIRECTLY, ANY CONFIDENTIAL INFORMATION DEFINED IN SECTION VII PUBLICLY OR TO ANY THIRD PARTY, EXCEPT AS REQUIRED BY A JUDICIAL OR GOVERNMENTAL ORDER AS SET FORTH BELOW, UNTIL AND UNLESS AVATAR REALITY AUTHORIZES YOU TO DO SO IN WRITING. you may disclose Confidential Information in accordance with a judicial or governmental order; provided that (a) you give Avatar Reality prompt written notice of such order so Avatar Reality has opportunity to seek a protective order or other appropriate remedy to such order, prior to disclosure and shall comply with any applicable protective order or equivalent, (b) you provide Avatar Reality with all reasonable assistance in opposing such required disclosure or seeking a protective order or confidential treatment for all or part of such Confidential Information, and (c) you disclose only such portion of the Confidential Information as is either permitted by Avatar Reality or required by the court, tribunal, governmental agency or other authority, subject to any protective order or confidential treatment obtained by Avatar Reality. IX. Injunctive Relief. you acknowledge and agree that a breach or threatened breach of your Confidentiality Obligation as set forth in Sections VII and VIII of this Agreement will cause irreparable injury, that money damages alone would be an inadequate remedy and that Avatar Reality shall be entitled to ex parte injunctive relief, without bond, to restrain you from such breach or threatened breach. A. Warranty Disclaimer. THE BETA SOFTWARE IS PROVIDED TO YOU “AS IS” AND AVATAR REALITY MAKES NO WARRANTY, CONDITION OR REPRESENTATION (EXPRESS OR IMPLIED, WHETHER BY STATUTE, COMMON LAW, CUSTOM, USAGE OR OTHERWISE) AS TO ANY MATTER INCLUDING, WITHOUT LIMITATION, NONINFRINGEMENT OF THIRD PARTY RIGHTS, MERCHANTABILITY, INTEGRATION, OR FITNESS FOR A PARTICULAR PURPOSE. YOU ASSUME ALL RESPONSIBILITY FOR SELECTING THE BETA SOFTWARE TO ACHIEVE YOUR INTENDED RESULTS, AND FOR THE INSTALLATION OF, USE OF, AND RESULTS OBTAINED FROM THE BETA SOFTWARE. WITHOUT LIMITING THE FOREGOING, AVATAR REALITY MAKES NO WARRANTY THAT THE BETA SOFTWARE WILL BE ERROR-FREE, THAT BLUE MARS WILL BE FREE FROM INTERRUPTIONS OR OTHER FAILURES, OR THAT THE BETA SOFTWARE WILL MEET YOUR REQUIREMENTS. B. Limitation of Liability. UNDER NO CIRCUMSTANCES AND UNDER NO LEGAL THEORY, WHETHER IN TORT (INCLUDING NEGLIGENCE), CONTRACT, OR OTHERWISE, SHALL AVATAR REALITY BE LIABLE TO YOU OR TO ANY OTHER PERSON FOR LOSS OF PROFITS, LOSS OF GOODWILL, OR ANY INDIRECT, SPECIAL, INCIDENTAL, OR CONSEQUENTIAL DAMAGES, OR DAMAGES FOR GROSS NEGLIGENCE OF ANY CHARACTER INCLUDING, WITHOUT LIMITATION, DAMAGES FOR WORK STOPPAGE, COMPUTER FAILURE OR MALFUNCTION, OR FOR ANY OTHER DAMAGE OR LOSS. IN NO EVENT SHALL AVATAR REALITY BE LIABLE FOR ANY DAMAGES IN EXCESS OF ANY AMOUNT YOU HAVE PAID AVATAR REALITY FOR THE BETA SOFTWARE, IF ANY, EVEN IF AVATAR REALITY HAS BEEN ADVISED OF THE POSSIBILITY OF SUCH DAMAGES. XI. Test Environment. you acknowledge that Blue Mars and the Beta Software will run in a test environment, and that avatars, avatar data, Blue Mars currency balances, virtual items, and any other value or status indicators that you accumulate as part of the Beta Test may be erased or modified by Avatar Reality at any time. you agree that unless you are specifically told otherwise in writing by Avatar Reality, such data will not be exported into Blue Mars once Blue Mars is commercially released. XII. Terms of Service and End User License Agreement. you agree that your participation in the Beta Test and use of the Beta Software are governed by the Terms of Service Agreement, available at http://www.bluemarsonline.com/legal/tos.html. XIII. Survival. you agree that the provisions of Sections II, IV, V, VII, VIII, IX, X, XII, XIII, XIV, XV, and XVI will continue in full force and effect even after the Beta Test has been terminated or completed and/or your participation in the Beta Test has been terminated. XV. Reform and Severability. If any provision of this Agreement is held to be unenforceable for any reason, such provision shall be reformed to the extent necessary to make it enforceable to the maximum extent permissible so as to affect the intent of the parties, and the remainder of this Agreement shall continue in full force and effect. XVI. Applicable Law And Venue. This Agreement shall be governed by and construed under the laws of the state of California without reference to its conflict of law principles. Each party agrees to submit to the exclusive and personal jurisdiction of the courts located in San Francisco County, California. The United Nations Convention on Contracts for the International Sale of Goods and the Uniform Computer Information Transactions Act shall not apply to this Agreement. XVII. Avatar Reality Customer Contact. If you have any questions concerning these terms and conditions, or if you would like to contact Avatar Reality for any other reason, please contact Avatar Reality support at info@avatar-reality.com. Much of atomic-world culture is based on the notion that suffering is good and necessary, that life properly consists of doing something pointless and/or wretched for most of one’s life in order to have a few hours of pleasure every week. This is a stupid and evil notion. That’s the very wise Soph. It may in some circumstances be sadly necessary to do something pointless and/or wretched for most of one’s life in order to have a few hours of pleasure every week, but we shouldn’t overestimate how often that’s necessary, or consider it The Way Things Ought To Be rather than, as it ought to be considered, as a problem to be fixed.